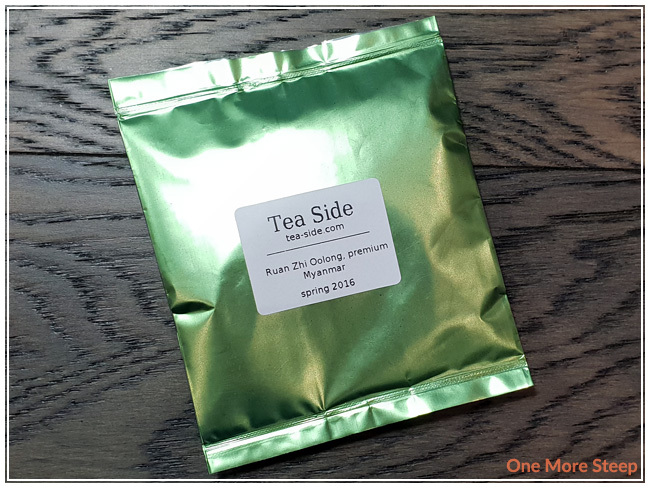 Tea Side has provided me with Jin Xuan Oolong for the purposes of providing an honest review. Jin Xuan Oolong came to me in a silvery blue packet, not resealable (but I am used to that by now). 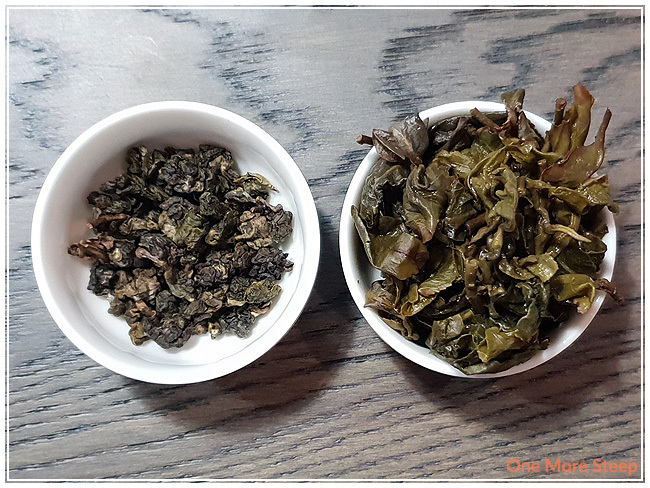 This oolong has some beautiful brown and green tones throughout the dry leaf. There’s a fair bit of size consistency between each dry bunch of tea leaves. 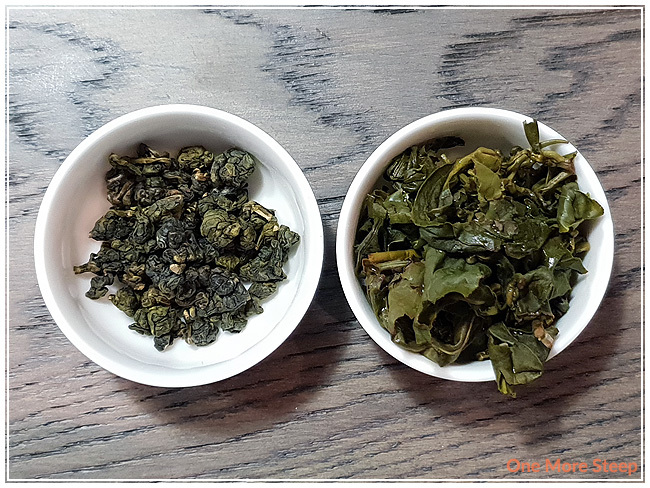 The aroma of the oolong is primarily a mix of leafy, dark green vegetables with what reminds me of apple and berries. Just smelling it makes me think of both savoury and sweet. Jin Xuan Oolong is a straight oolong that was harvested in Thailand at 1200m above sea level. With how tightly bunched together the leaves are, it does have me curious about how much the leaves will expand after being steeped. I couldn’t find any steeping instructions for Jin Xuan Oolong. My initial steep was in 195°F (90°C) water for 2 minutes. 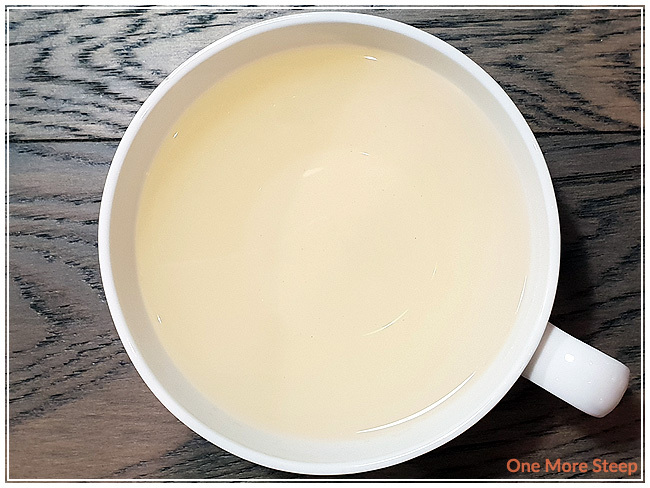 If you ever come across a tea without steeping instructions but you know what type of tea it is, check out my steeping times guide! My initial steep of Jin Xuan Oolong results in a very light yellow tea. The aroma of the steeped tea is mostly that of apples and berries, with a touch of earthiness in the background. On first sit, I noted that the tea is smooth with zero bitterness or astringency. There’s a lovely aftertaste to this tea – mostly because it’s sweet with a flavour that is lightly floral and mixed berries. I resteeped Jin Xuan Oolong six times (seven steeps total). I added an extra 30 seconds per subsequent steep. I noted that the tea became more golden yellow in colour with each steep – with the colour peaking at the second resteep. The flavour of the oolong became more floral and fruity in nature as the tea became darker in colour. I noted that the sweetness carried throughout each sip a little bit longer with each steep. I loved Tea Side’s Jin Xuan Oolong. I always love it when an oolong tastes as good as it smells in both dry and steeped leaves. 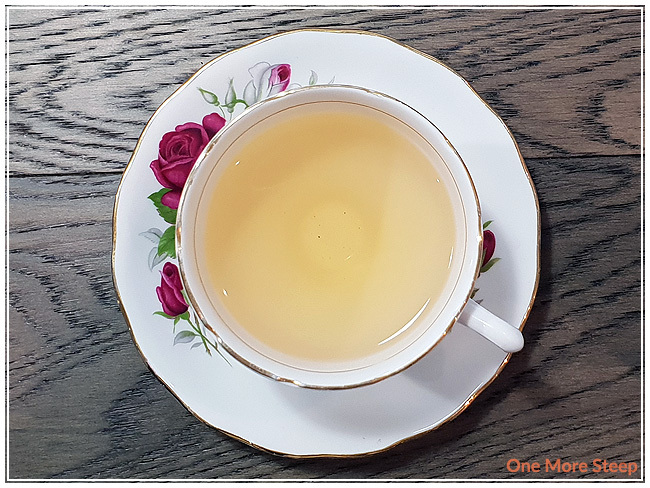 The floral and fruity flavours of this Thailand oolong was a treat to have as it was just really enjoyable to drink. 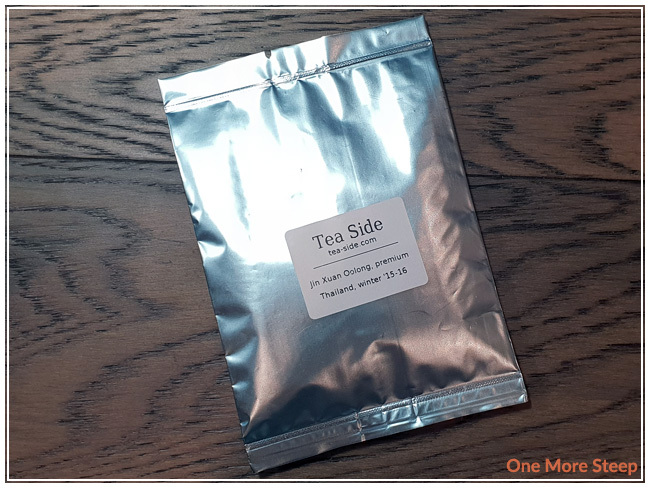 I think that this tea would pair very nicely with a fruity dessert because it would play nicely with the natural flavours of the fruit itself. 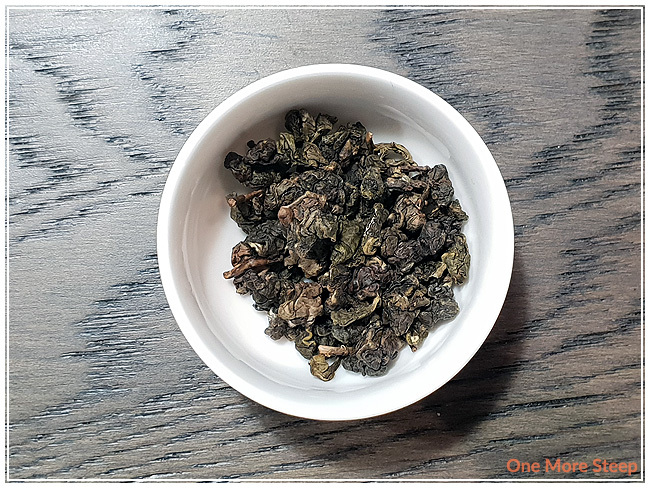 This is a nice oolong to resteep, I found that the subtle changes in colour and flavour to be pleasant and would fully recommend resteeping this one if you get the chance. 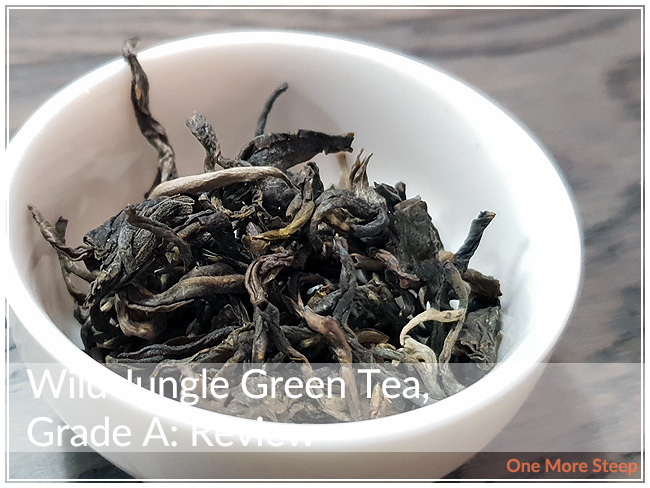 Tea Side has provided me with Wild Jungle Green Tea, Grade A for the purposes of providing an honest review. Wild Jungle Green Tea, Grade A came to me in a shiny green packet. 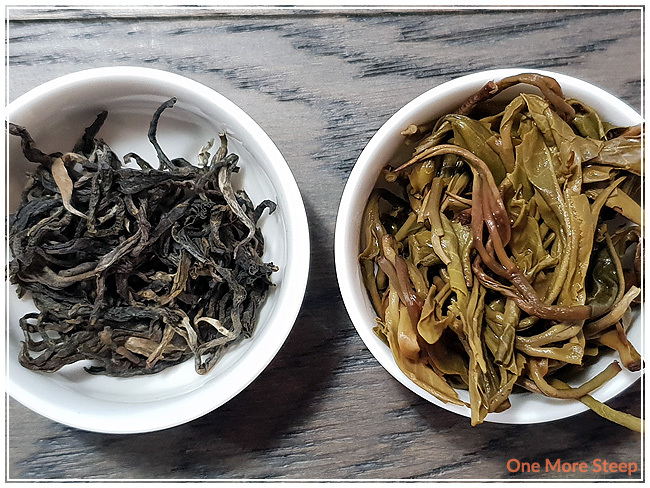 Inside the tea leaves are long, wiry – in varying shades of brown from a light green to a dark, almost black brown. I learned from the Tea Side website that there are three grades of this Wild Jungle Green Tea – from A to C where A is the most expensive. The grades are decided on based on which tea has the tips (A) and which tea is made up of the second or third leaves on the plant (C). Grade A is considered to be premium grade because it has the two leaves and a bud leaf selection present. Wild Jungle Green Tea, Grade A, is a straight green tea from the forests of Thailand, where the tea grow wild there (unlike from a tea plantation or farm). Tea Side describes this forest has having trees between 200 and 500 years old. This tea was harvested in August 2017 at 1300m above sea level. The aroma from the dry leaf reminds me of the fragrance of plums and berries. I couldn’t find steeping recommendations for Wild Jungle Green Tea, Grade A. My initial steep was at 175°F (80°C) for 2 minutes. Wild Jungle Green Tea, Grade A steeps to a lovely light yellow. There’s a sweet, fruity aroma from the steeped tea. The tea itself has a sweetness to it, some plum notes, and a slight grassy flavour throughout the whole sip. I found at the tail end of each sip, I noted a little bit of saltiness – just a little bit of umami throughout. I resteeped Wild Jungle Green, Grade A a total of three times, adding an extra 30 seconds for each steep. I found with each steep, the saltiness grew while the sweet fruity flavours faded. 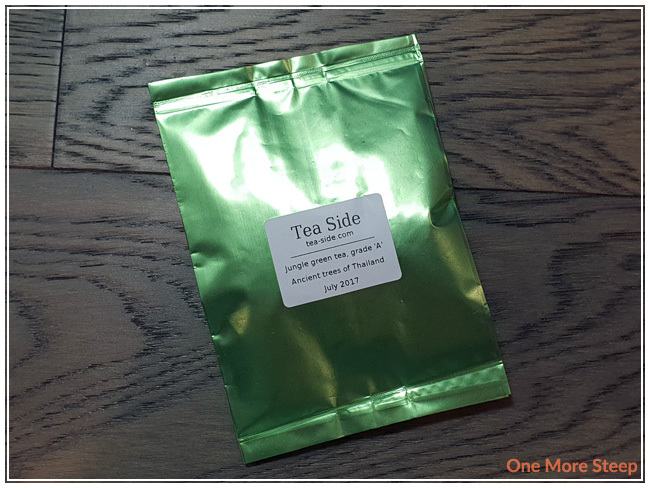 I liked Tea Side’s Wild Jungle Green Tea, Grade A. I really enjoyed the initial steep, and think it would be fun to get the other two teas to compare the different grades in terms of being able to compare and contrast the differences in flavour and quality. I found the initial steep to be the best, as I really enjoyed the sweet, fruity notes that were primarily present in the initial steep. If you’re a fan of the saltiness that umami flavours bring, you might be a fan of the subsequent steeps (more so than me, at least!). 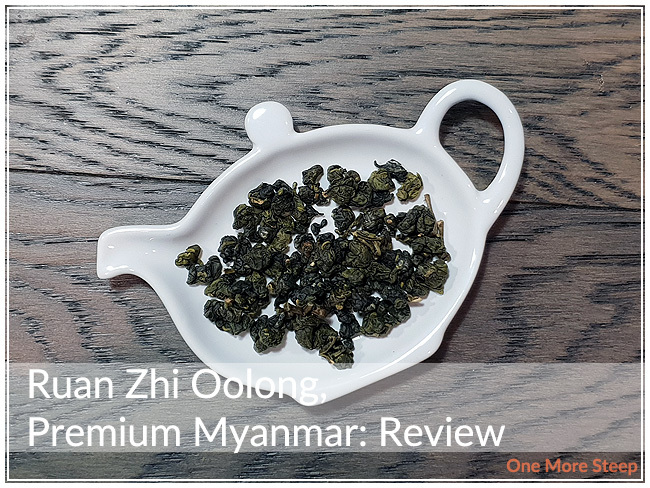 Tea Side has provided me with Ruan Zhi Oolong, Premium Myanmar for the purposes of providing an honest review. Consider my interest piqued when I read the label on this tea from Tea Side – to my knowledge I’ve never had a tea from Myanmar (Burma) before. I learned from their website that this tea was harvested at 2000m above sealevel during the spring of 2016. The dry leaf is beautiful to look at – there are various shades of dark green to brown with a lovely aroma. There’s a mix of floral and fruity notes. 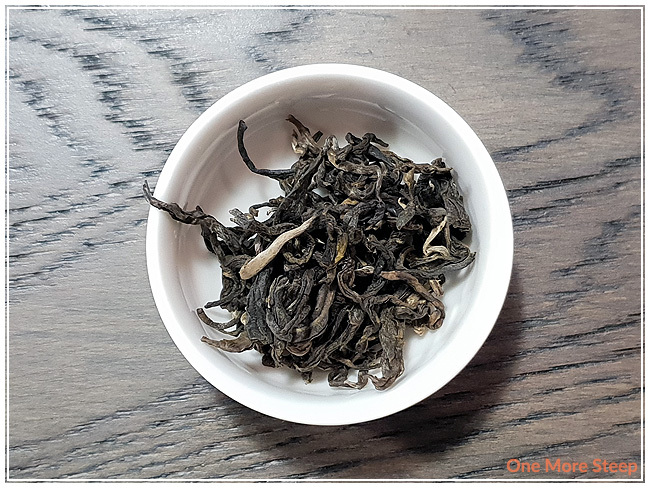 Ruan Zhi Oolong, Premium Myanmar is a straight oolong tea. There weren’t any steeping instructions listed for Ruan Zhi Oolong. I used my usual oolong steeping times and used 90°C (195°F) water for 2 minutes. Ruan Zhi Oolong steeps to a beautiful light, yellow colour. The aroma is primarily that of floral notes, with a gentle touch of fruity notes that reminds me a lot of berries. There’s a nice natural sweetness to this oolong tea that I easily enjoyed. 2 minutes for an initial steep was a good idea, given that the tea has a smooth texture and goes down easy. I resteeped Ruan Zhi Oolong a total of eight times, adding an extra 30 seconds for each subsequent steep. I found the flavours of floral and berries started to get weaker with each steep, but a creamy buttery quality started to come out each each steep. 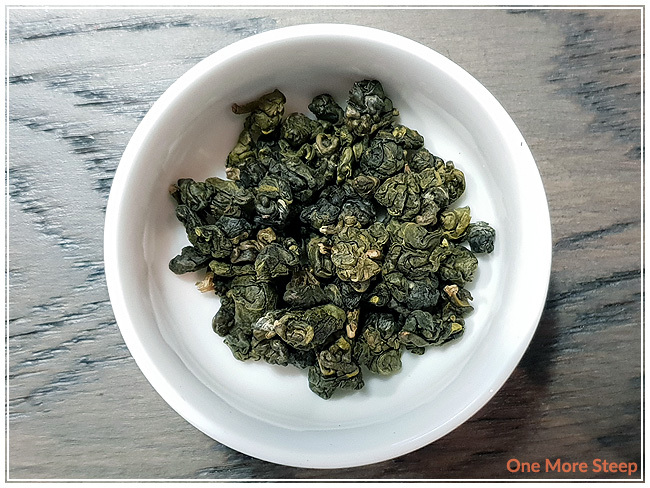 By the last (eighth) resteep, Ruan Zhi Oolong primarily had a buttery flavour to it and the berries and floral flavours were all but gone. I loved Tea Side’s Ruan Zhi Oolong, Premium Myanmar. 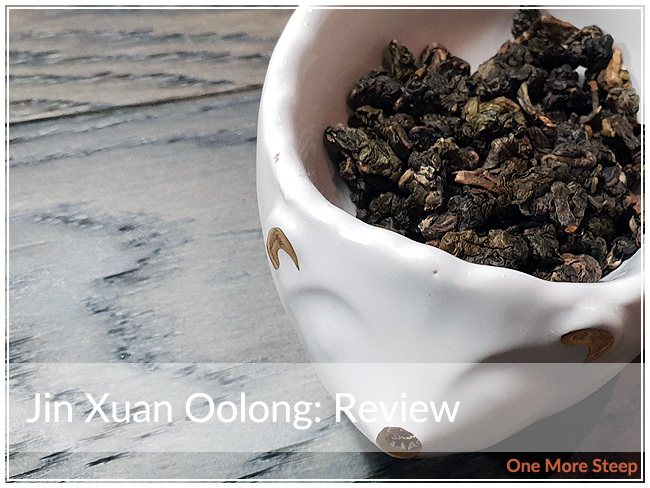 I really enjoyed the floral and berry notes, this oolong resteeps so well and I greatly enjoyed experiencing each steep on its own because there was just some really nice shifts in flavour each each resteep from the very same leaves. 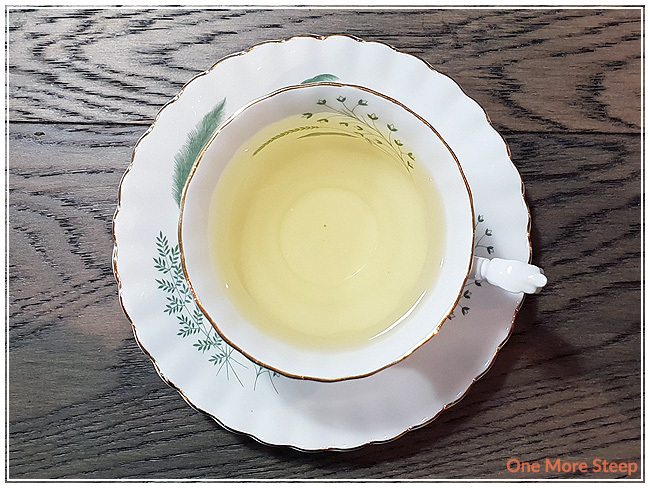 If you’ve never resteeped your oolong tea before, you really should – and this tea is an excellent reason to learn to resteep your tea. It’s not an inexpensive tea, but it has a great quality to it that allows it to be resteeped so many times.